The Women Peacemakers Program (WPP) in the Netherlands asked Perspectivity to guide the development of their new communication strategy. The program, originally set up by Cordaid, became an independent organization in 2012. In 2013 the team elaborated their new business strategy, with a strong focus on network development and communication. Petra de Boer was asked to facilitate a communication strategy day for the whole team. After a brief overview of communication trends and developments, the team got to work. In a sequence of interactive exercises, they defined its primary target groups needed to accomplish its goals and what WPP has to offer to each group. Subsequently the team defined its communication objectives and how to realize those. 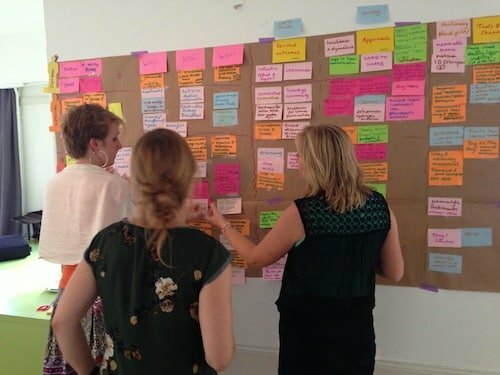 Using the principles of Appreciative Inquiry enabled the group to build on previous successes, while at the same time creating room for new, innovative ideas. Because the whole team was present, the group was able to develop a shared view on the role of communications and define relevant and realistic goals. Our meetings and your guidance have been very useful and I hope we can work together again in the future.